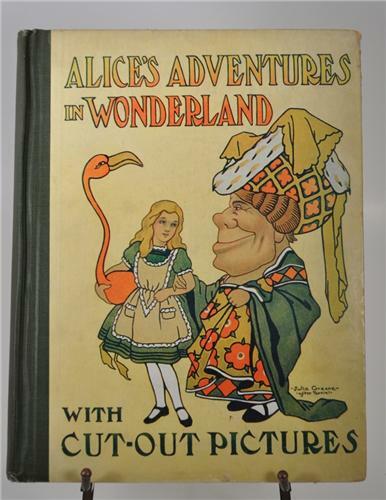 This remarkable copy has the March Hare, The Hatter's Hat, The Doormouse, The Mad Hatter, A Gardener, and A Mad Tea-Party with color cut out instructions, in color on the frontispiece page. The book has some but little shelf wear. The Pages are Pictorial Paper Thick Manufacturing. Self Rated: Very Good +/Very Good. A remarkable find at a bargain of less than half of it's referenced value price in better condition than other referenced books of 750.00! IMPORTANT SHIPPING NOTE: This book is SHIPPED FREE to you via USPS First Class or Priority Mail, Insured, Very Well Packed and with Delivery Confirmation.